The Centre for Ageing Research and Development in Ireland has announced the appointment of five post-doctoral Fellows in a €1million investment to develop future leaders in research on ageing and older people. 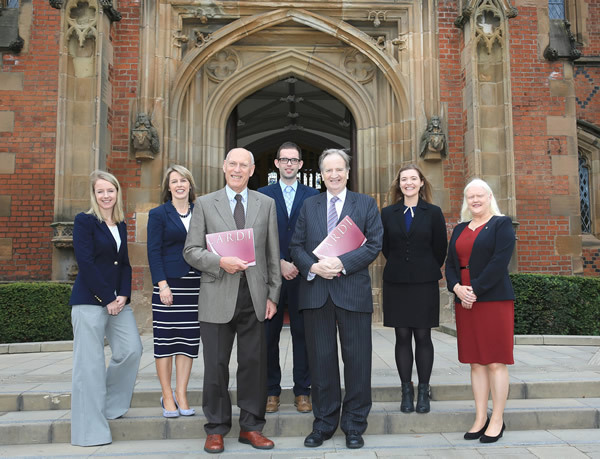 The CARDI Fellows, four at Queen's University Belfast and one at Trinity College Dublin, will carry out research over the next three years into ageing issues with the aim of improving the lives of older people across the island of Ireland. 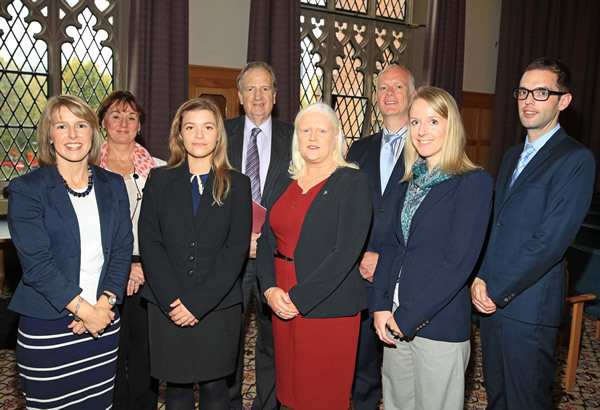 The new CARDI Fellows, announced at the inaugural meeting of the CARDI Leadership Programme in Ageing Research in Belfast today are: Joanne Feeney, Joanna McHugh, Charlotte Neville and Mark O'Doherty, who will be based in Queen's University Belfast, and Aisling O'Halloran based in Trinity College Dublin. Joanne Feeney and Aisling O'Halloran were formerly researchers with TILDA. Joanne, Aisling and Charlotte will use TILDA data in their research. The Fellows will carry out research on topics including physical frailty and ageing; diet and cognitive decline; the impact of stress on cognitive and cardiovascular health and the social determinants of cognitive decline and healthy ageing. The five Fellows were chosen based on the quality of their proposals, potential to become future leaders in ageing research and the commitment and support of their host universities. The appointment of the Fellows marks a substantial investment in the area of ageing research in Ireland, North and South. The direct investment aims to support the development of a strong community of researchers in ageing focussed on policy-relevant research which can support effective policy-making for the ageing populations. "We are delighted to announce a substantial injection of funding which will see the appointment of five research Fellows under CARDI's Leadership Programme. It provides vital support to encourage and develop a new generation of researchers into ageing in Ireland, North and South, who can work to improve the health and well-being of our populations as they age," said CARDI Co-Chair, Professor Bob Stout. The CARDI Leadership Programme in Ageing Research is funded by the Health and Social Care Research and Development Division, Public Health Agency, Northern Ireland and The Atlantic Philanthropies. 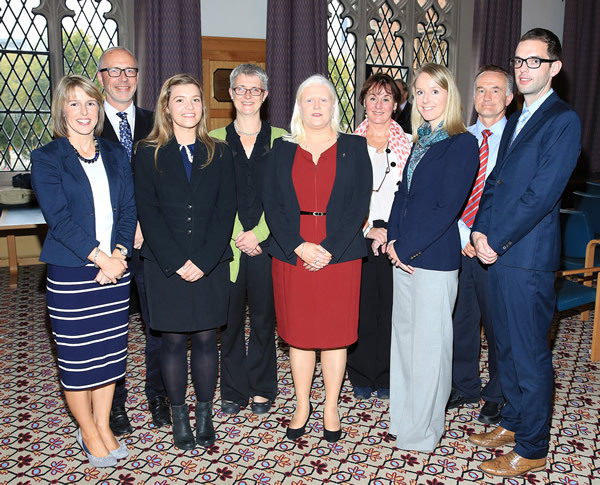 The CARDI Leadership Programme in Ageing Research was launched in 2013 and two calls for applicants were made in September 2013 and January 2014. Dr O'Halloran's research as a CARDI Fellow is on the theme of frailty and older people in Ireland, North and South. Frailty is a driver of functional and cognitive decline, predicting multi-morbidity, disability, increased health care utilisation and mortality in older people. However, frailty can be ameliorated through early detection and intervention. This will help to identify risk factors for frailty in older people with the aim of developing new evidence-based targets for the early detection of frailty and suitable interventions. It will also seek to develop estimates of future healthcare needs related to frailty. For the CARDI Leadership Programme, she will explore the impact of stress on the neurocognitive and cardiovascular health of older adults in the North and South of Ireland. The experience of severe or persistent psychological stress can alter immune mediators, trigger inflammatory processes and increase oxidative stress, damaging brain and cardiovascular health. Determining the impact of stress on neurocognitive and cardiovascular health is important in order to help uncover potential pathways to, and early indicators of, disease and disability. In her research, as a CARDI Fellow, Dr Neville will explore the association between fruit and vegetable intake, retinal microvascular health and cognitive decline and dementia risk. Accurate assessment of dietary intake in older populations is vital to unravel the potential role of diet in healthy ageing. The research will examine assessment methods currently used and test other potential dietary assessment methods that may be particularly suited to older people. His research as a CARDI Fellow will explore differences in trends in work related disability and in the way people report disability between nations and across different national health and welfare contexts. At a time when working lives are being extended, this research aims to develop expertise in the evaluation and assessment of work related disability among older adults through the use of disability vignettes which will supplement self-reported disability. The focus of her research as part of the CARDI Leadership Programme is the social determinants of cognitive decline among older adults in Ireland, North and South. It will examine the causal links between loneliness and social isolation and cognitive decline. The project will investigate several factors, such as social support, stress and neuro-inflammation to clarify their contributions to the relationship between social isolation and cognitive outcomes in later life. Understanding these factors can help combat the growing problem of cognitive decline and dementia in Ireland.